Certain food brands have been around forever because they spent time and money carefully designing products that they know people will like, and while Lay’s has had a lot of success by asking people to submit ideas for chip flavors and then letting consumers vote on the best ones, the wacky flavors that actually out of that are still the result of a lot of research and development. When companies actually let normal people loose and allow them to dream up their own food ideas, the results are almost as always terrible—as indicated by those machines that let you combine soda flavors to create your own sugary cup of hell juice. 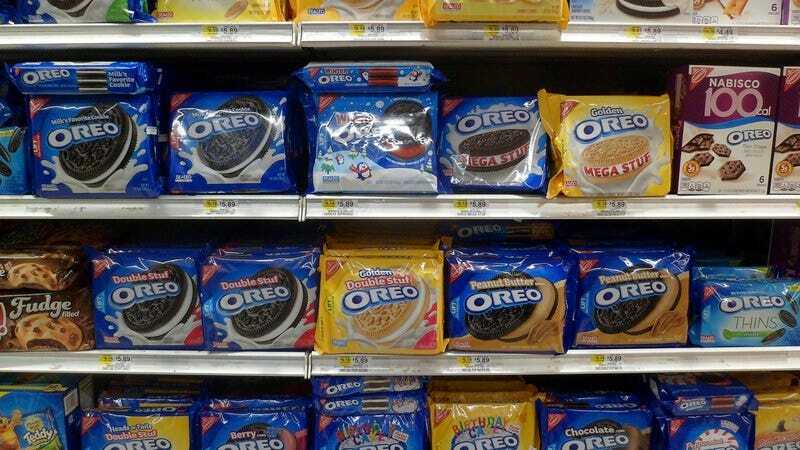 Unfortunately, assuming that Oreo is telling the truth about these “one-of-a-kind” creations from the “wonder vault,” the rest of us will never get a chance to see just how unwise an Oreo flavor like cherry cola or avocado truly is.